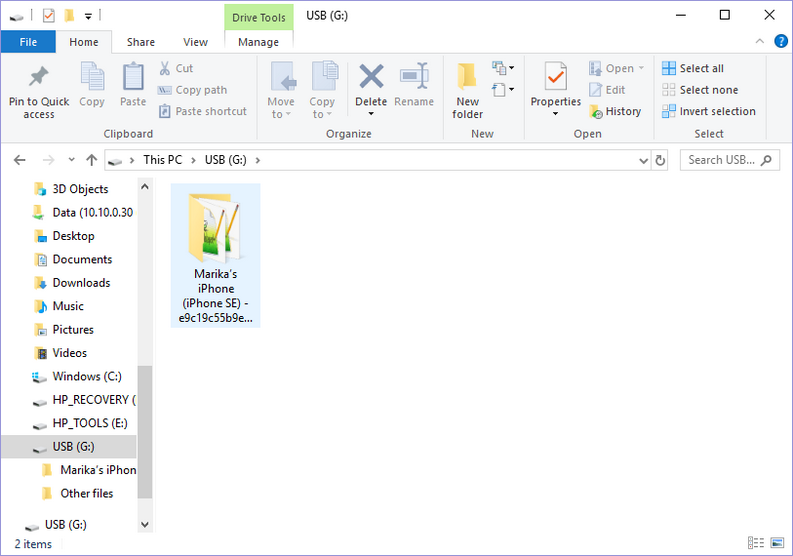 How to back up iPhone to external drive? 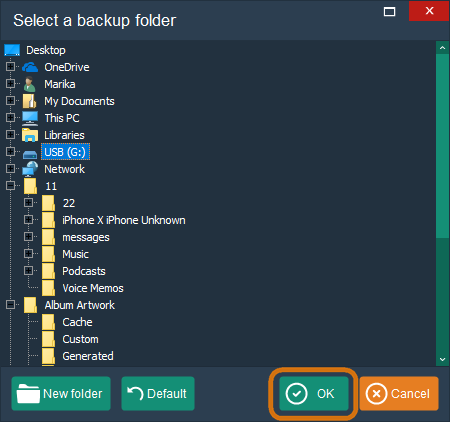 Home » How to back up iPhone to external drive? If you are running out of PC space, the last thing you want is to completely run out of space on C drive because of the iOS backup of your iPhone or iPad. The easy solution is to save the backup to an external drive such as a USB stick or a portable hard disk. This way iPhone backup is saved in case of a PC crash. You can also bring the backup with you wherever you go and restore it from any computer. 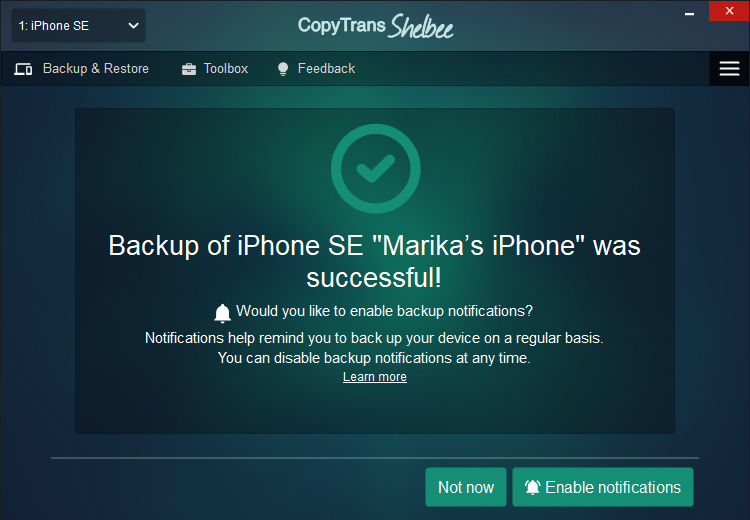 Here’s how to back up iPhone to any external drive with the free CopyTrans Shelbee. YouTube tutorial: how to back up and restore iPhone without iTunes? Launch the program, connect the iPhone and the external USB drive to which you want to save the backup. Choose “Backup”. From the following screen, click “Full backup”. Now click on the Pencil button to select the destination of the backup. A new window will appear. Select the external drive and click “OK”. Confirm the destination and click “Start”. Stand-by until the backup is complete. 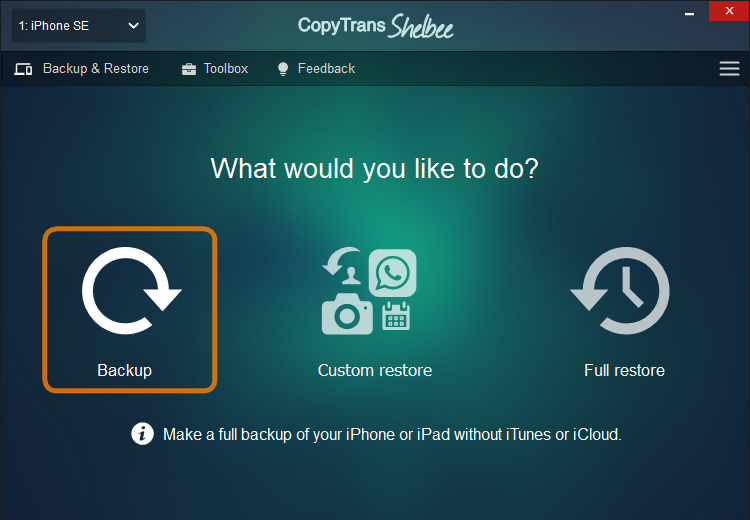 CopyTrans Shelbee backs up contacts, calendars, messages, app documents, photos/videos in the Camera Roll, and more. And voila, you are all set! Making regular backups of your device is a good habit. CopyTrans Shelbee can remind you when it’s time to make a backup. Don’t hesitate to enable notifications. The iPhone backup is saved to the external drive of your choice.